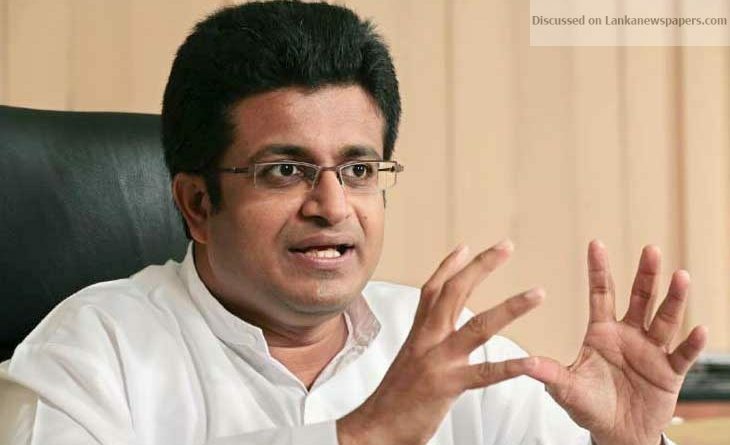 The United National Party (UNP) and the Tamil National Alliance (TNA) should reveal any agreement between them which had compelled the TNA to back the UNP, Pivithuru Hela Urumaya (PHU) Leader Udaya Gammanpila said today. Addressing a news briefing, he said the TNA had been reiterating in the past that they would not support the UNP to form a Government for more than one month. “All of sudden, the TNA changed its stand and decided to support Ranil Wickremesinghe to be the Prime Minister,” Gammanpila said. “What are the promises given by the UNP to the TNA for the TNA to suddenly change its stand? People of this country have a right to know the agreement since the people may have to face its disastrous consequences,” he said. During the 2001 Parliamentary election campaign, Mr Gammanpila said, Mangala Samaraweera disclosed a UNP – LTTE agreement. “Although the UNP denied it, they implemented the contents of the agreement after coming to office. Similarly, Tissa Attanayake disclosed an agreement between the UNP and TNA just before the Presidential Election in 2015. “Although the UNP denied it, most of the promises mentioned therein were implemented by the UNP. Hence, we urge both the UNP and TNA to disclose the agreement which compelled the TNA to pledge its support to Mr Wickremesinghe,” he said. ← Set to move from the wings to the centre stage!